Moving your office is a major investment, not only in relocation dollars but in time and unseen costs, too. Relocating affects clients, employees, and vendors. According to Urban Bound in Stat Book: Relocation, the moving and corporate relocation industries are huge. Companies spend billions of dollars each year relocating employees. 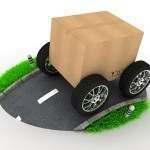 17% of the people who move do so because of their jobs. With so much at stake, here are some tips to help moving your office go smoother, before, during and after the move. Even if you already know how to move a business, creating an office move checklist will help you remember all the important things that are critical to a safe, successful moving experience. A quick search around the Internet will reveal numerous checklists, but to save you some time, we’ve gathered a few here [links at bottom of post] that cover a wider variety of tasks to stay on top of than just one simple checklist might give you. Another option for saving time – and stress on your part! – is by hiring a professional moving service such as those found here . There may be many options in your location, so take the time to do your research and look around. Take them all and create a comprehensive checklist tailored to your own unique situation. Add your moving checklist to the office intranet and office manual as a handy reference guide should you need it in the years to come. Hand copies over to your “moving day team” so they have an easy way to make sure that everything that should be done, is getting done. Aside from conversations, calculations and light-weight applications, we don’t expect much from our “smart” phones . . . or do we? When it comes to residential moving or office relocation, we can now look to our mobile devices to help us do some of the heavy lifting. Most people use “apps” — small software applications on their mobile devices — because they’re on the move. From setting alarms to managing notes, from engaging in social media to looking up recipes, the popularity of apps is growing exponentially. If you habitually use these softwares on your smartphone, table PC or netbook, there’s no need to change your habits! Some apps for moving are free, others can be purchased for a nominal fee; still others are provided by the moving company contracted to move your office, allowing you to track your related expenses, file claims, and finalize contractual obligations. Additionally, recognizing that even “mobile” spawns multi-tasking, savvy moving companies offer hybrid solutions and myriad ways for you to stay engaged with your goods. For example, their mobile apps have a web-based counterpart so that you can use your laptop or tablet PC to login online as well as interface via iPhone(TM), Android(TM), or other smartphone. Whatever your team members’ preference, there’s a way to connect with their favorite device. There is a list of useful mobile apps in the resources section at the end of this article. To wrap this up, pull together a comprehensive checklist that works for your business situation, enlist the help of a mobile app to help you keep everything on track, and if you’re moving abroad, remember to adjust the language accordingly. Do you have any favorite tips for packing or moving the business office? Share them with us in the comments. Graebel Relocation Assistant and the CartusMobile app are customer-only apps provided by the companies when business engage their moving and relocation services. Find them in the Apple iTunes store. Moveline, free iPhone app by Frederick Cook and Kelly Eidson, helps people and businesses in NY area relocated. Quote from Eidson, Moveline App, Entrepreneur Magazine Article by Michelle Juergen, 18 Dec. 2012. Vernessa Taylor is a micro and small business champion -- helping professionals, solopreneurs and consultants choose and use automation and smart technologies to build and manage their businesses. A techie with a quirky sense of humor, she writes serious stuff at CoachNotesBlog. Connect with her on Google+ and Twitter @CoachNotesBlog. Bathroom Marketing: Is #TweetfromtheSeat Taking Things Too Far? Communifaking – The Latest Fad! These are some great tips on moving. There are mobile apps for just about everything now aren’t there? Hi Sherryl, nice to see you in the house (pun intended!). You’re absolutely right, “there’s an app for that!” 🙂 The mobile apps for moving took me by surprise. During my research, I came across an “employee relocation specialist” (they work on behalf of huge companies to help get employees re-settled, like overseas). They declared that mobile apps are as critical to an office move as you say having a team in place is. Glad you made it through the chaos. I’ve never gone through any big office moves just quite a few small office relocations. Thanks for sharing your experiences, Sherryl! 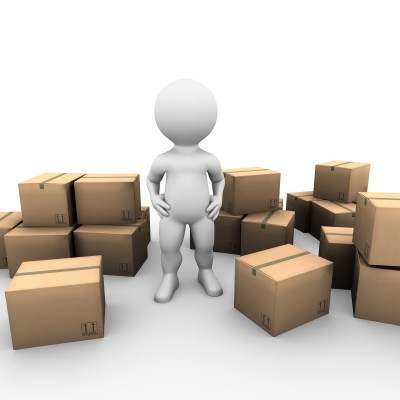 Shifting and relocating your office or office move requires lots of planning and as pointed out preparing a checklist and distributing it to your employees will be the key. There will be hundreds of files collectively in all departments and it’s always better to engage each department in taking care of goods and accessories of their department. So assigning a coordinator in each department should work. When you have a coordinator in each department, rest of the employees can directly talk to them when required. Also involve each of your employees and ask them to label their own goods so that they can unpack and relocate their own goods conveniently after office shifting. Deep Roy, that’s a good idea to have “employees label their own goods” and unpack their stuff once the move is done. Surely cuts down on misplacing items and helps get the office back in shape quickly. Thanks for your comment. I have a small moving business, and all I can tell is that this is a very good article. It really helps when the people moving their business are more educated on the subject and know what to require from their moving company. Very nice tips, good job! Very good information. Luucky me I found your site by chance (stumbleupon). This was a rather interesting. Thank you for sharing your ideas with the world. Can you do another post?